Continuous Rolls of 10, 20, 50, 100, and 300 Foot Rolls of Fuse. Fuse 3/32 50 Foot Roll of American GREEN Waterproof Fuse, burns at approx. 2 seconds per inch or 24 seconds per foot. 100 foot roll of 2.00 mm Water Resistant Chinese Fuse. Burn rate of approx. 3 seconds per inch or 36 seconds per foot. Fuse 3/32 Custom Length of American RED Waterproof Fuse, burns at approx. 2 seconds per inch or 24 seconds per foot. 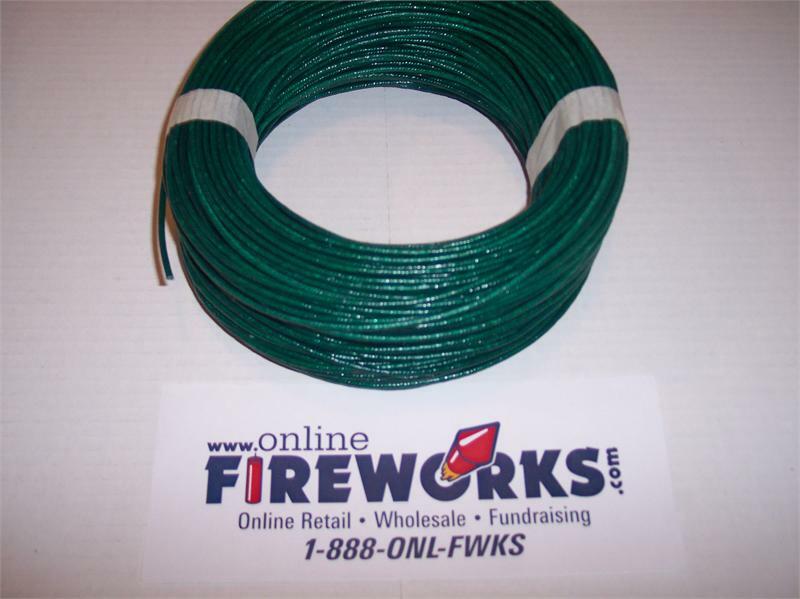 10 Foot roll of Fuse - pre-packaged 3.00 mm burns 3-4 seconds per inch or 36 inches per foot. Great for fusing multiple products together.